Darcy is nearly 19 months old and now something i've been thinking about a lot recently is when to take the dummy away.. I know dummies are one of those subjects that is very much split. Some people swear by them and others hate them. Whilst I have given Darcy a dummy (something that when I was pregnant I said I wouldn't do..How parenting changes you hey) I am still very much on the fence with them. At the age she is now and the cheekiness.. she has certainly started messing me around a little bit with the dummy especially on car journeys! If there is two of us in the car she will throw it and start a little game, she's done this if only me in the car obviously I don't even try. If you don't get it though she will get really annoyed. Also, at night she cries if she has lost it.. generally she find it easily herself. I do love though that she is so easily comforted by it and I don't like to have to take that away from her but I don't know when the point comes that you know when to take it away. Do you just go cold turkey? I'd feel so mean. 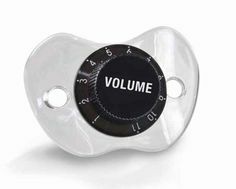 Does anyone else have any experiences with taking away the dummy?